The core tenets of hacking are actually applicable to HR and the continued evolution of the workplace. Hacking is an exercise in innovation and can help your organization improve broken systems and processes. Because it requires curiosity, experimentation and courage, it's also a great way to develop confidence and creativity in your employees. 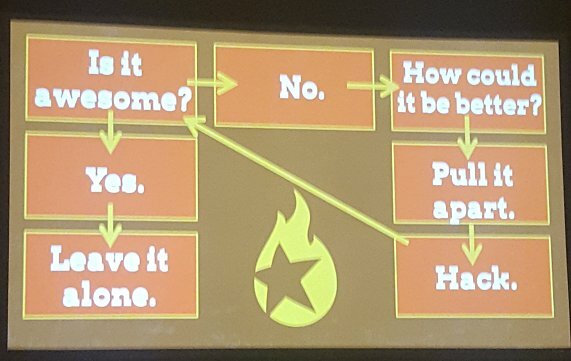 Hacking your workplace is about taking something that's broken, deconstructing it into individual components, and then identifying which parts need to be fixed. 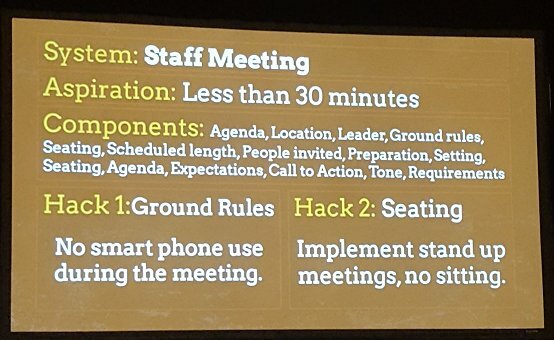 You can hack just about anything your organization to make it better -- even the dreaded staff meeting. This is a simple example that can be expanded to more complex processes throughout your entire enterprise such as the candidate experience and onboarding. Hacking is a fun and easy way to increase employee engagement, build morale, and develop an inclusive and collaborative environment where everyone can contribute to building a better organization. Think about some of the challenges you face each day in your own organization due to broken processes. 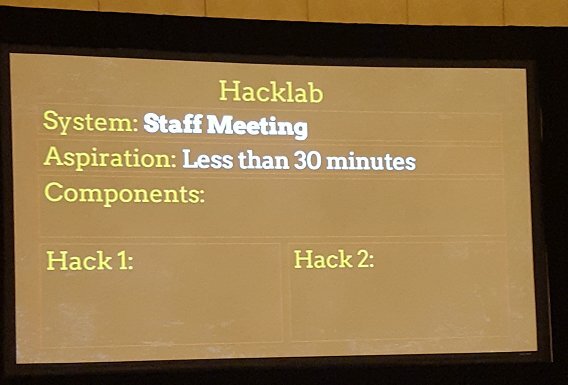 What would you like to hack? Get your team together and get started today.